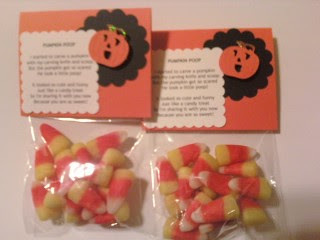 Paper Crafts by Candace: This years version of Pumpkin Poop! Here is this years version of Pumpkin Poop. Made these for a craft fair I have on Saturday. He took a little poop! Because you are so sweet!